Lisa Clampitt, LMSW, is the founder and president of VIP Life, the founder of the Matchmaking Institute, a professional matchmaker and relationship expert for over 17 years, a book author and a New York State Licensed Master of Social Worker since 1991. She was educated at New York University, receiving a BA in Dramatic Literature, and received her graduate degree, a Masters in Social Work, from the University of Michigan. In 2001 Lisa created VIP Life; a high end personalized dating service offering a great way for exceptional single men to meet extraordinary women. She would give them a bridge into a social network that allows them to feel as if “they have a best friend”, to introduce them to other singles of quality and style. 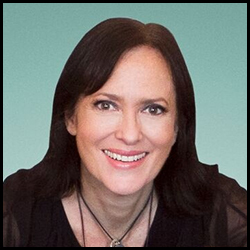 Lisa founded the Matchmaking Institute in 2003 to set a code of ethics and strict quality standards in the matchmaking industry. It is the first institute offering a professional matchmakers network, matchmaking workshops, yearly world-wide professional conferences providing matchmakers with a group of peers & support and is the only State Licensed matchmaking school in the world.